Fend off unknown beasts in an Arctic camp. Uncover evil doings in an abandoned church. Hunt the wild beast of the Hemwich moors. 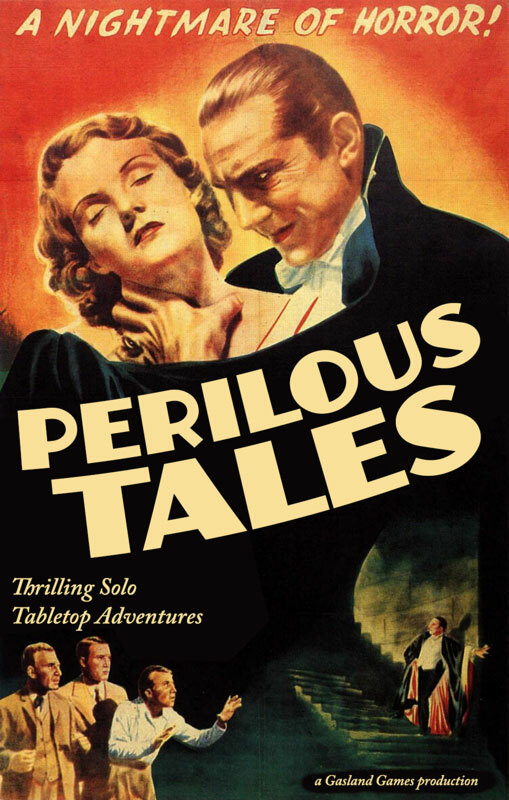 Ghosts, vampires, evil genius, Russian spies, witches, fiends from beyond the stars… You are only limited by your collection of miniatures and your imagination. In each episode, the villain and its minions are controlled by the game, using a simple “programming” system. Each episode will have several objectives that your characters will be striving to complete before the time runs out or the plucky heroes are slain. The play area is beset with threat markets, which may be perilous terrain, or the terrible beasts that are hunting you. 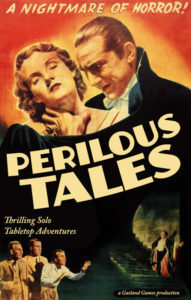 In Perilous Tales, the emphasis is not always on killing, in fact often you are trying to take a critical photograph, recover a crucial artefact, or escape to achieve fame, fortune, or simply to live to another day.